It is with great hope that today marks the official application of the Irish Army to receive sponsorship from the Plato Foundation. Only three weeks ago, the Irish Army was relaunched. Starting out small, we built up our programs incrementally, in doing so making sure that we had the right people and strategy to turn a dead unit into a thriving and active army. We set targets and achieved each one. The latest one was launched only 6 days ago, that being our very successful, Irish Army Airborne. 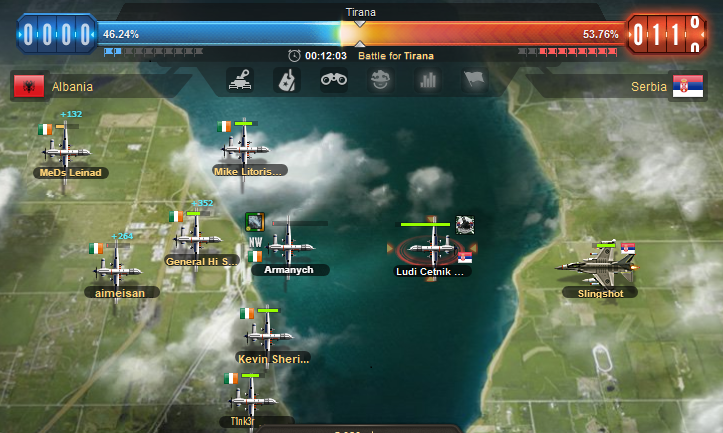 Over the past week alone, the Irish Army has grown to 30 members, 20 of which are actively fighting on a daily basis. While this may seem small to many countries and units, this number represents 50% of Ireland's active population. Strength is not our focus, last week we finished third nationally based on tank damage and second based on air damage. This does not concern us as our unit is not does not prioritise damage, instead we look at providing incentives to our community, making soldiers fight by providing them with different goals to complete as we work together to develop our strengths as citizens and soldiers on the battlefield. 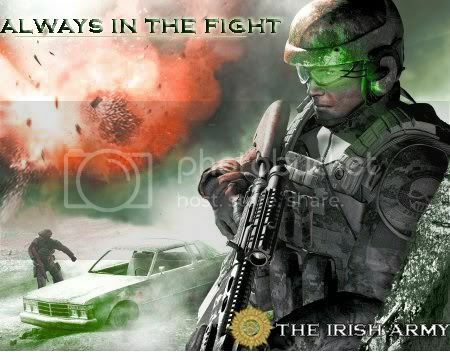 The Irish Army wants to continue with its current growth trend and furthermore act as an incentive to foreign soldiers to take the plunge and join our small nation on the fringe of Europe. In order to do so, we need to enhance our current system by providing better supplies to our soldiers. We could easily do this by throwing only money and tanks at our soldiers but we have full faith in our system of rewarding our soldiers for completing Daily Orders and focusing their damage where our country deems it necessary. It is this sense of purpose and community building that made this game what it was. With this in mind, we do not wish to reward stray lions but only true members of our fighting pack. 3) 25 Q7 Tanks upon completing 3 and 7 Daily Orders respectively. Post purchase of food and weapons, we would be left with an estimated surplus 27,000cc which would be used to partially fund our Irish Army Airborne which as shown earlier on in this application, had a total expense of 32,190cc. Whilst we do appear to run a deficit overall, it also does not factor in continued donations from our members who this week have funded a net value of 36,105cc. In contrasting our proposed figures with our current expenses and factoring in a 200 Gold sponsorship from the Plato Foundation, the Irish Army will be able to operate and reward every soldiers activity at an expense of between 5,000 - 10,000cc. In conclusion, I would like to thank everyone who has given up their time to read this report. Most importantly I would like to thank the members of the Irish Army for their continued support and determination to make our military unit the active community in which it has blossomed to be. Because they are the fighting Irish !! Amazing job! Thank you for your work! Had some good times hanging out with the Irish on their IRC channel back in the 2009.-2011. Small but feisty group that was like brothers to Cro and we would give all in for each other on the battlefield. Nice to see you are making an effort to get the Irish army and community back on their feet! "Strength is not our focus, last week we finished third nationally based on tank damage and second based on air damage." Ireland already going downhill under the Aimeisan leadership. Fascinating really.. I remember the days when Ireland was very organized functioning nation. Was always jealous of that. This is just a step forward on becoming that again.